​Obviously, private training is much more expensive - initially. However, when one takes into account how many classes need to be taken to get to the level achieved with DogOvation and how much time is wasted waiting for classes to start, commute time, etc., individual training can be on par with group classes. And of course, private training is much more efficient, can work directly with your dog and your family's needs at your schedule. Since dogs’ relationships are rooted in the home environment, it is crucial to begin there to ensure that relationships and behavior are first assessed and addressed in the appropriate context in order to provide a comprehensive behavior evaluation and training plan. To me, this is the most important factor: Classes take place in a classroom, a location which is set up for puppies and dogs to learn. But, what happens in the real world? With distractions (bikes, other dogs, cats, people, etc.)? When you are no longer in that perfect learning environment, how well will you be able to help your dog maintain their good behavior? Or deal with less than stellar behavior? (We all make mistakes.) ​ With Dogovation Training, we start in your home (very low distraction) and then go into the real world - parks, shops, work places - wherever you are having the most difficulties so that you can lean to help your dog be calm anywhere and everywhere. My job as a trainer is only partially to train the dog. My main goal is really to train the owner to work with the dog. With private training, I can create a training program that fulfills the needs and styles of each dog’s family. 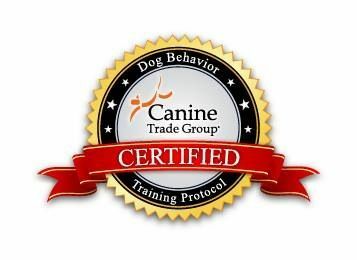 I have worked with families in San Francisco, Marin and throughout the Bay Area for over twenty years and feel that this component – the people training – is what makes me ultimately successful with dogs. ​I love working with owners and their dogs to build better relationships.